one moment slipped my heart. but she wasn’t whom I expected. A high target was when tears of joy turn tears of cry. It was news about an 11 year-old boy became a victim in chase of a German shepherd dog. But it bothered me a lot somehow today. May it be an incident or accident, it sent me alarm. Not that we own a pet dog, and it is nothing wrong in having one. But the thing where we had is an apartment complex with tens of houses and neighbors closer enough. May be it wasn’t a frequent incident, but thinking advance is usual sustain and a thing it indicates is prevent further incidents. Like wise I think we were the ones too working on base of violation and how threatening we’re to neighbors with children more or less to the boy. It’s nothing to wonder about if negative thoughts peer into ours neighbors mind after reading this news and I am sure someone would compare us with owing a dog, when even I could. 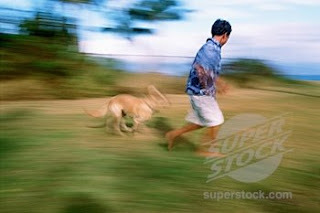 Dog means fear is a common sense which is more in children and we know a dog chase means we have to stop running, but for children it’s the only thing they know to escape. The above incident is a proof which kept these days as a hidden injury. I could not just blindly deny everything and here is a proof today. Carelessness lost a life indeed. I showed this news to my parents to make them aware and warn about threaten we give to others in complex in name of Maya. We are suspicious about the situation and I am with everyone who agrees for an act on controlling the pets in apartments. Here just walls separate the homes in apartment; the reflection of noise is sustained and oversight is left to injury or loses of life, something happen to the 11-year-old Ashish. I am pity over the incident and regard to the news and violation of rules, I feel its better apart the pet until staying in apartment. Am someone could just voice my expression and agitation to call from beginning to oppose keeping a pet. But none could listen and I left to fate to still believe nothing goes wrong, even after suspect few incidents happened around my complex. There is nothing wrong in having pets at cautious space and more than anything, human life is precious than pets. Kadamparai Dam and downhill - Valparai! 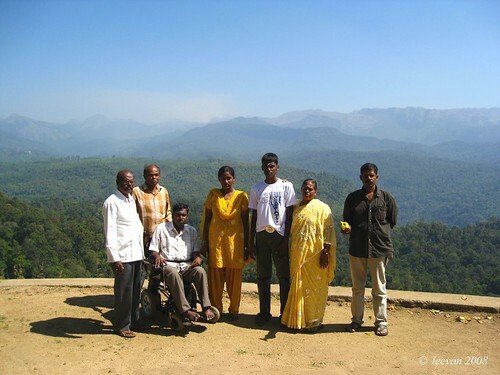 By 9 in morning we stared to climb down the valparai hills after taking some pictures with our relative’s whom accommodate us throughout the stay and some kind of love, to greet us again. I haven’t ever fascinate with such colorful flowers treated my eyes and sense this much like those in the garden home we stayed. It’s bitter to know the group took control the home next day plucked all the flowers that bloomed and smiled at me to reflect. 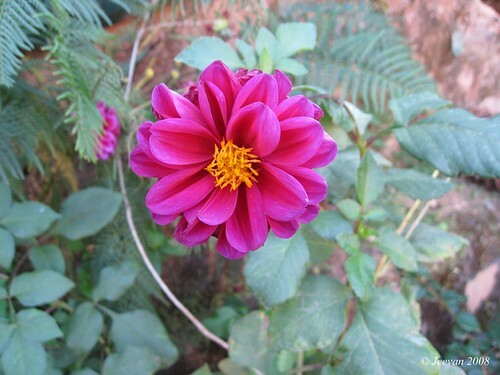 The flower pictures I shared here are those taken at the garden. With half a mind, I left the place saying bye to twitter sweet birds that welcomes morning, the blowing wind in fragrance of tea and the warm gave sunshine. Sign by boards, I peer along the way around the trees where lion tail monkeys are yet to leap. At last with little disappointment we found the elephants near Shivaji estate – belong to late actor Shivaji Ganeshan, and where a couple roaming far away the hill and later to have a group of elephants below the valley and inside the shrubs. After having cuppa in the waterfalls estate - the last tea garden within valparai before climbing down, we turned right near the 20th hairpin bend that head to Kadamparai Dam. 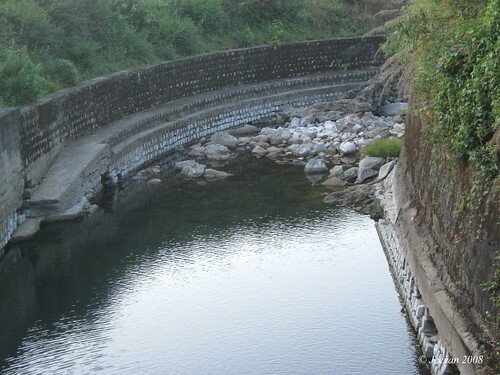 The dam was within a distance of 15/20km, and the road lead between teak forest and Tiger valley. We were stopped by a check post and after hardly convincing the old lady, who was in charge, the block was opened and we passed the upper Aliyar and reached the Kadamparai Power house gateway. This was a power house situated at an invisible site inside the hills! It was a 6km tunnel carved in a single rock, with a passage of two Lorries to come and go! Awe… it was interesting to know the main process of this Power house is to recycle the dam water and generate Hydro Electric power. The very special about this was the recycling process. 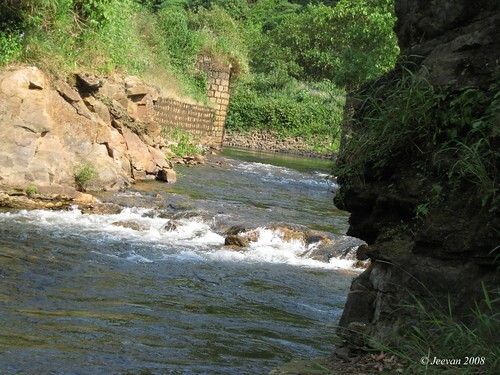 Throughout day the water from Kadamparai dam is open to generate electricity and throughout night, half the current stored are spend to recycle the water from Upper Aliyar to Kadamparai dam. It was like up to down and down to up. 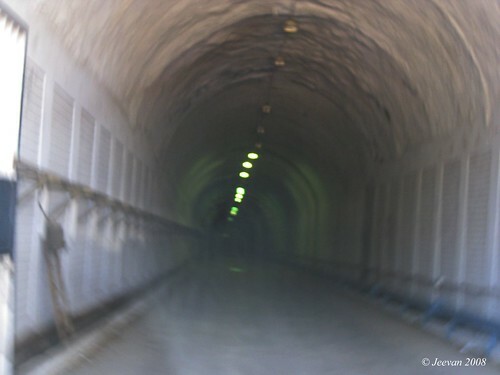 It was highly restricted and very special permission is needed to go inside the tunnel. Those who have went and came, and who recommend us to visit sounds awesome about the silence and fearful noise, to experience never before and to a multi theater effect. 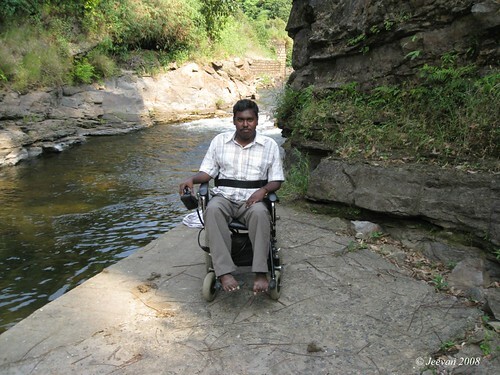 As we had some other plan, we couldn’t visit the Kadamparai dam, which was few km above from the power house gateway. As I have lost the pictures I was covering while climbing up valparai hills, I wish to recapture those scenes and stopped at few places, where the one was Lomes view. From here one get a wonderful view of Aliyar Dam and the zigzag dreadful hairpin bends, and from here above the hill were the only place in valparai I saw the Nilgiri Thar. 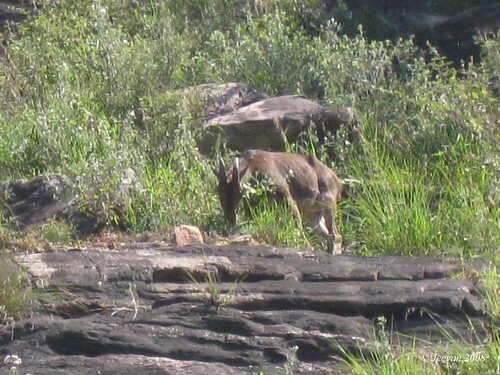 These are some goats, rarely seen on Western Ghats at the least existence. Everybody trusts somebody in the essence of life. Being true to ourselves is also a form of trust and belief, which get us freedom and left fearless to be strong. When I come to think about trust, I felt to believe that humans are the only obvious in life. From my view I see only people around me and even my favorable nature could turn sometime to unwind, but if a person could not attend me I am no more and sprinkle. In trusting something vague and nothing, it’s better to trust a person indeed. Every person is not believed easily and no one could understand like a person indeed. I believed in some people generally and when came to know there true nature I does lost hope, but learned lessons that all passing clouds don’t rain forever. 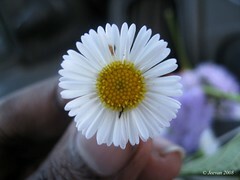 Even though I expected and experienced drought to realize that seasons change and every season have an essence. But what remains eternal was air we breathe and what exist for now. What we believe is up to our belief and nobody can force somebody to believe something. Even if something exists by a force there we could not find a true belief and something like that I experienced early in my life without my knowledge. Today also I could see some parents insert there belief into there children and wiser people to defuse the young ones uncertain. No person is unbeliever just like that, unless experience the stuff and learn a lesson, and don’t our experience and knowledge rise us up? There was something called god, ones I believed uncertainly and prayed from heart and do things whatever said by parents. My journey drove me through much mirage believed to be true and murmured anything without front thinking and in fear. No one could find out the change in me so easily, because there wasn't much difference in my practice and the change happens inside to invisible to anyone. In love I accept anyone’s wishes and prayers, direct or indirect it was from there heart, but I never pledged to there belief, because I trust them and not there belief. In friendship trust is more important, what we can’t share with our parents and cousins could be done with a friend. What I shared here is unknown mostly to my dear ones outside blogging and I wonder sometimes why we have a limit with them. We really run within a circle and never thought to go beyond in trusting more like a friend and alike, everyone have a friend to share there secret in trust. In my life I am uncertain with any relationship to trust to bear me as long I and they live, and it was something uneasy for me to think beyond my parents. If I have to say something about my happiness and spirit, is because of being true to myself and my conscience. First we have to trust ourselves, before expecting someone to be true. We trust people up to a boundary and even we have to trust them alone beyond the boundary, which I would to do with no secondary idea. This post was inspired by Krystyna’s recent blog post. The picture above was taken on feb 12, at 6 in early morning. The place was Muttukadu Backwater Lake on ECR. Last week I was anxious about my health, because of something gone wrong with my walking which thought me setback. In cause of some events and weekend, I unused the calipers for sometime and when I return to regularly pace, I found difficult in steps further and felt pain at neck. It happens sometime whenever I lack to wear and walk in caliper for some days and thought it was that difficult I could over come next day. But it continues uncertainly for few days, which I couldn’t bear the balance and went to scare in distress perhaps steady uneasy pace. I am using calipers for the last 9 years to walk and to keep in touch with the practice, but from the beginning I had a steady slow reduction in motion, from my own ability to support somebody in walk. Caliper was the only thing worth helpful in the long trail medical indication, that too uphold by a traditional Ayurvedic examiner. I wonder sometimes why the literate allopath doctors couldn’t give more importance to maintain the ability than to discuss always the only unfound medicine and therapists to go on ignoring patients. Something I experience at the medical examinations and parents, doctors and patients meeting conduct by the MD Association. What the problem at my uneasy pace was just a folded paper is unbelievable. I forget to remember one day I told mom to place a folded paper inside the caliper footwear to increase the balance, but it seem gone overdose to put me into struggle and unbalance, which I suddenly thought to remove on Friday. I was back to normal subsequently to restore fresh breeze and excitement, as it was one of my hopes and pleasure that I merely walk regularly on flat surface. The tough times are those replace with new calipers and I have changed so far three with two going out of size and one broke away while walking. More than me, my uncle was happy to see me out of uneasy and he told he prayed a lot to see me back at comfort and he is one main reason I am still on pace, as he come home regularly on evenings to get me walk some laps inside home. Walking was one great activity stable with me for long, even at least and is believed to maintain the physical adequate. Another hardship that caught up life last week and still on process was my power wheels. It refuses to operate the system from Monday and no one to take it to service to restore the problem and absence of labor put it further delay. But one thing I realize now and how wonderful it was having a power wheel chair operated by myself put me on individual move. Now I have problem with everyone putting my wheels at position and test patience myself and others to irritate by calling them often to move from one place to another. I call mom and dad to tell; well I brought power wheels so as I avoided anxious and troublesome from you all and kept you away from distress. Wow life was comfort and pleasure with power wheels; I enjoy the freedom it got me and makes less stress to everybody. I hope the wheels are restored soon and catch up with my other activates I miss these days. I sense my existence when I write on my own, which I came to realize when I was in mid blogging era. The one reason I continued to write whatever interest me and thoughts and feeling. It all begin with interest of reading, esp. daily newspapers and want to maintain the writing practice, which I though I can’t untouch if I lost. When I begin writing no one used to encourage me and thought at my circle what am I writing going to do, but on my own interest I took the pen to write anything. Writing today become one of my need to express myself, the only way I could communicate to the world of my joy, suffering, puzzle, interest ect… through blogging. From past to present what all have I developed or got better in writing is because of my reading and learning practice. It what make me interest to write on my thoughts and observation. In no way I feel pity for nothing doing in my life from the usual thing people do at my age than just reading, writing, traveling and observing as a hobby or to time pass. These things make me to progress in life in means of passion and courage. I feel to realize that writing needs more patient esp. for me alone in down in progress in deed. I need to tell the world that disable went wrong with us – persons with MD, to stop anything to loss forever and that’s why I do write/type. And more I love to have friends which never happen alive until I start blogging and after schooling. I have a mean to write that someone listens to me, nothing worth to say, but I have something to say, about me in general and causes I come across to write. Lately I fell in love with creative thoughts, to say, which turns my interest more on writing. 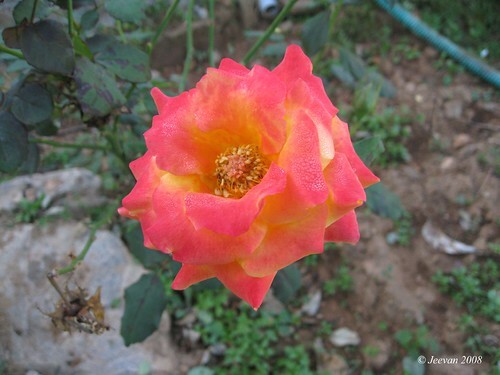 This write-up is also a creative thought that rose after reading Jan’s post which I came across after sometime inspired by Red. Sometimes I don’t get a thing to write, but after just go on reading my other blog friends post, I caught somewhere a thought to write. I love the sharing process, which one mean and belong to life and existence I realize, and the one main reason why I write. Like how without gasoline a vehicle can’t move, so as without my friends comment and encourage I can’t write more. Who can stop me from writing until blogs and internet are freely available, among keeping away my distress? I am uncertain how long could I able to write/type with my hands, so somehow I wish to write further more possible. Whatever I think and like to express do my writing here. It’s a place recognize me as a writer who couldn’t even write a story and thing properly. It’s interesting. If you like, do write. to never say shatter words. More than politics – it’s my thoughts. Now its time for political buzz in India, ahead of parliament election to form a new government in heed of peoples need, and I have something to say about it. Like many, I too wish for an alternate government to form in center which wasn’t visible to me still, even though a third front dawned to face the parliament election head by Left. What the change we expect is not from the same political parties or politicians and not a political government, but people’s government. That can be given only by those come from public indeed and truly understand the peoples need. Are those contesting in elections are from no political background or support and those independently contest win all the phase? No. This was something rarely happens and like Madhu Koda who was an independent legislator to become a chief minister of an Indian state Jharkhand. We need politicians from public and not from the same background. I see, there is no more interest in public to enter politics and many are even lazy enough to stand in a queue to poll there rights. Everyone have a dream of becoming a Computer Engineer, Doctor and even ready to become an actor and fashion designer, but not a politician and agriculturist. The rates of those wish and write exams for IAS, IPS and other government official post have been down. For what these courses have been not intended I find was, more than being a respected officer with less earning, its better to settle with much eared through private companies or to live aboard – am very sorry if it hurts somebody here. But doesn’t it have a little truth? I am not accusing totally and everyone have there rights to decide on the present and future, but I too have a mind to wish it would be worth the public interest turn upon politics. Of course there are some people individually won in local elections such as counselor, panchayat… but they are not completely deserved to people and mostly it’s for political influence and power. The political manifesto is proof how well our politicians understood the people. They never allow people to open there mouth by sticking no cost announcement and free gadgets to everyone. They tell they give more importance to youngster to involve in politics and party, but whom they are if we see are not below 40 nearly. I wish and dream India caught up with more youngsters involve in every form, including politics and agriculture to take country at balance. Never have I said engineering and doctorate are not important, they take them to higher status in knowledge and society, so everyone wish it easily, but at same time there are hard work fields like politics and agriculture seems dry without courage to take steps in advance. I agree the equipments are more advance in agriculture field, but who involves in making product is less and uneducated mostly followed by tradition. It’s not a simple business anyone could do, it cause more strength and life involvement, but when our scientific knowledge adds in progress, we could find increase and easy productivity in cultivation and food processing with enough or little water and price. I would like to criticize the government which promise to turn the wastelands into cultivation, according to manifesto, brought me sorrow seeing there carelessness and isolate to allow the agriculture lands to turn concrete floors. Back to third eye. When we have illicit and criminals in politics why not some individuals with truly care for society and people. In day today everyone follows the preceded idea alike other politicians, so when everyone sawn at that view, we miss who truly deserve. We are uncertain in finding the right person to heed our need and the reflections cause confuse in selecting true color. It’s so easy to find which is black and white, but everyone heads with a grey color makes us pause from taking right decision in voting. In which belief and cause do people poll there vote and do there questions answered later? In day today with many parties contesting the election, the votes are shattered and no party gets majority and put at risk of uncertain fall. What I wish is any party to come with majority and unity among alliance to strengthen the country and bold enough to take step with knowledge and kind at heart. Someday I dream, pace of youngsters in parliament and cabinet, lifting up politics and agriculture to standard and make it regard. Clearing away the uproar and confusions, bringing discipline and respect to the leaders and house. The sound and resonance of same in silence and kind of minds to agree in heed of peoples need, keeping away the political grievance. How many leaders today are being inspirational and roll mode to younger generation to say I want to be like this leader and about to follow his path? Don’t we lose hope with corruption and the bad names created by filmdom on politics? Last but not least. I am someone willing to poll my vote in ‘May’ parliament election and I am in a state of mind similar to what I have written above. I like to vote, to whom the matter is uncertain. The title was something caught my attention from a news i read today. Day4: Dec 27, 2008. The last day in valparai, but not the least! I felt very quiet and pleasant at moment spared at Upper Nirar Weir. It was just like gone to a picnic, to do anything under no restriction up to our courage, because the place was surrounded by dense forest. It was noon we reached the Upper Nirar after visiting Nallamudi Poonjolai. The road was rough for sometime though we took a short lane along tea valleys so there wasn’t much movement of vehicles and it breeze so fresh in shadiness of roadside raised trees. 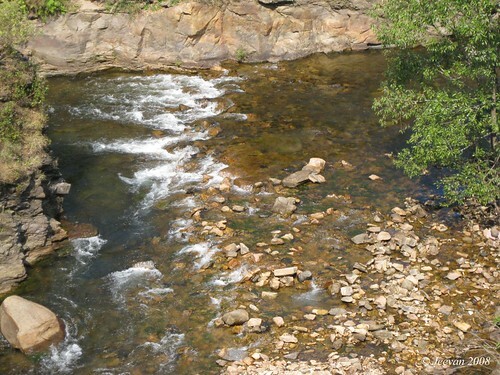 It’s a place I almost liked in valparai for its complete serenity, cool breeze and pebble streams that run across. It’s a place that said to be almost wet, as it was very close to the area that records the second highest amount of rainfall in India, but what we had to experience is less water that runs like a stream and sunny weather. 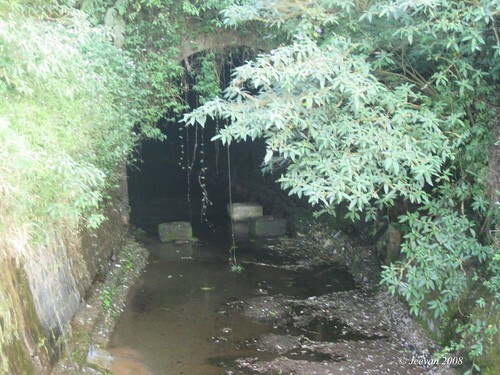 As soon we had our lunch, we went down near the water that passes into a tunnel. The canal was just two footstep of water then, my uncle and bro got down to enjoy the stream water. They took over the place for sometime and gone wild similar to the woodsman, caring a bough in hand in scare of animals and we go on tease them by warning. I too was feared and drew up fast as I felt some strange movement. Wherever we go, the elephants dung is left before us to wonder ‘here too’! 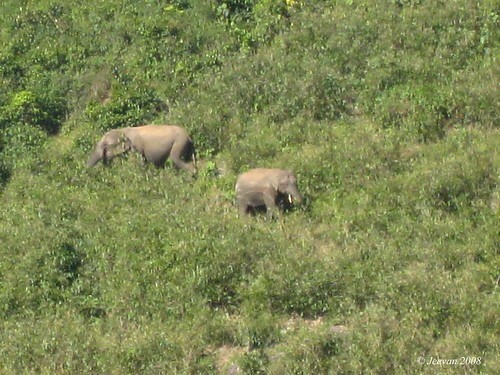 What a miss opportunity it was to find no solo elephants until climbing down the hills. What the weir and dam is doing is a wonderful job in diverting water into certain passage as in heed of peoples need. It was a two eye tunnel, which carved more than 15km deep into hills to lead water into Kadamparai dam, but I am uncertain with the fact. And the dam water was open to lower Nirar dam. 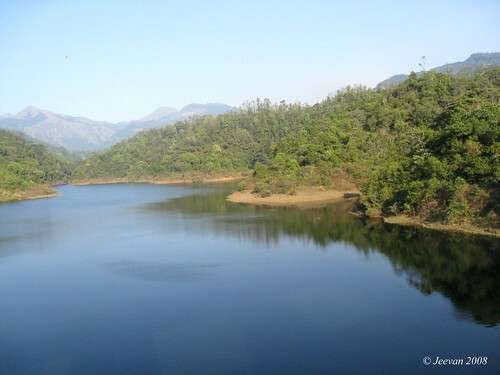 From the dam we could see the Grass hills peak, an evergreen rainforest area and where it believed everyday rainfall without fail, and Upper Nirar is first in place receiving water from Chinnakallar River. The other side of the dam has some tribal settlement and could see a ruin bridge that ones used for there transport. It was a surprise shock for us for a moment, to have a sign of tiger standing at a distance to know later it was a plant and believed it had came in smell of maya – as she was barking sometime and no wonder if there was a real tiger, because it’s a place one could see wild animals at anytime. I just wished to be there some more time as the place was placid! The Grass hills was something I eagerly looked forward to visit, but the road lead to that place was not good then so I decide to not get troubled ourselves. By evening we visited the Lower Nirar, which is on our way back from Nirar Weir. It was late to know an elephant passed our way minutes before our arrival, says an old lady who sales something near the Lower Nirar Dam. It was the Dam build along with Upper Nirar in 60’s, by the government of Kamaraj. It also has a tunnel as big as a way to run a lorry. This is one of the worth projects, truly for peoples need and what the earlier govt. done when mechanism and instruments are not good like today and with the only excess of human power. The tunnels that cut across the hills and rock are certainly awesome! Clearing many doubts of those age and clever strategic to achieve this, is not a simple thing to think. Just how much intelligent and hard work it needs to them, to be accurate with the digging process and link the either sides of the tunnel. The darkness really made me astonish, thinking about the fear and courage of those people involved in this process. The Nirar Dam was a placid reservoir and one of a highest dam in valparai. 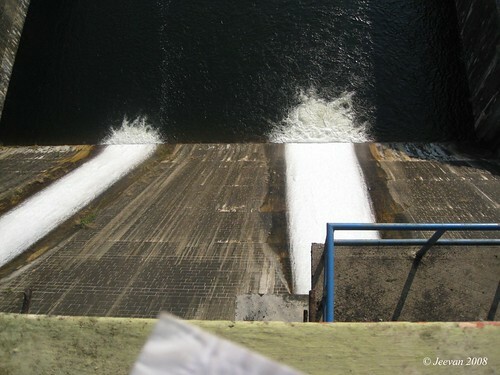 The view from the dam was scenic and water flows milklike with mild resonate. 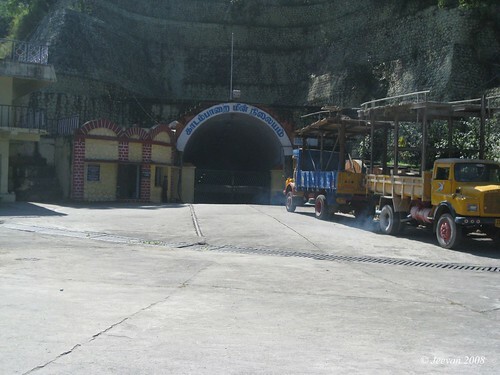 It was closing time for public and so as some guys caught into trouble by driving inside the tunnel and blocked by elephants, we dropped our plan to visit the tunnel and head to the back of the tunnel some 15km away from the dam. It was an uncommon site where the tunnel ends. Mostly, people don’t come here as it was uneasy to disclose unless you’re more aware about valparai. 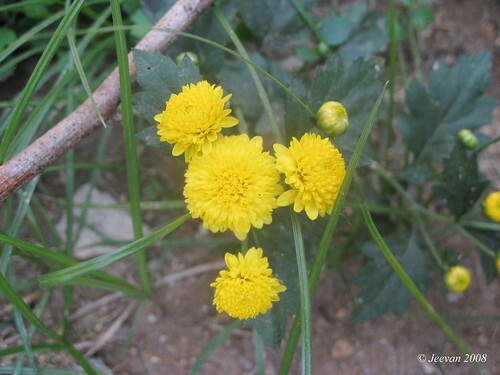 It was just like a canal and foot path across; a small flow of water from an uncertain hole and the places was surrounded by little flowers. It’s over all gloomy and of course the sun was setting down behind the mountains was such a pleasure indeed. That was our last day in valparai and no other way to deny the accommodation at our relative’s place; hence the wonderful cottage we stayed was handed over to someone booked and we wish until last moment they arrive to leave it unoccupied. It was a night uneasily forgettable to me to the surprise of hornbill noise. I waked suddenly to hear the noise sweet as ever like a romantic guys whistle and I wasn’t expected even though I saw a sign board of Hornbills near there home. Sorry it doesn’t end actually, there are some more to share promptly about valparai and traveling... Hope u don't have problem with pictures at large 500px × 375px? if anything, let me know. Because I see unequal pixel when checking pictures at Internet Explorer at minimum size of 400px × 300px indirect from flickr. how many of u check blogs with Internet Explorer than FireFox? 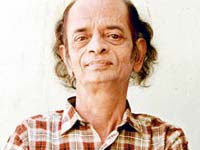 to make annoy his co-artist – Suruli rajan. to get him throw a rock on his head to defeat all. and ear close to telephone conversation. Those could not understand what have I written here is about a veteran Tamil comedian Omakuchi Narasimhan whom passed away yesterday. With some of the comedy clips I could remember right now got me write something on him. I could get much if I think deeper about him in Tamil movies. His lean body and his style of handling the tress is somewhat makes us laugh simply. Today he was no more in this world, but his aspect will never get lost out of sight and memories. Below is a renewed comedy clip from Omakuchi and Goundamani! sadly i can't get some good pictures of him from internet! 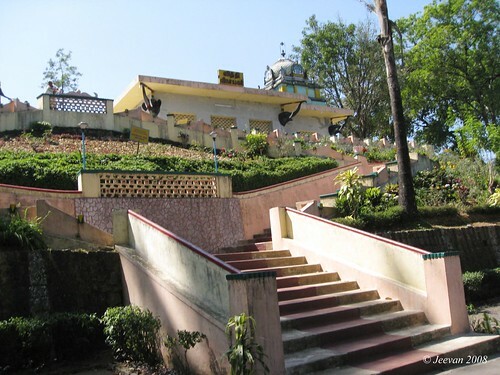 Before reaching the Nallamudi valley view, we head to the Sidhi VinayakarTemple at Sholaiyar Estate. Been some specific day and my cousin bro’s birthday, parents want to visit the temple and it was also one of the tourist attraction in valparai. The idol in the temple was carved in a single marble stone at 7 feet, which brought here through helicopter and the temple was built by Birla – a largest group in India. Near the temple I found a board words ‘world’s first ISO 9002, Sholayar and Kallyar tea plantations and factories’. The temple has some tens of steps to climb, and amidst private tea estates and nearby factories, since it was morning time, people where busy at hunting tea leaves and guys loading tea packages into Lorries. Along the way and around Nallamudi Poonjolai are forever tea estates. There were cluster of hills just like the overturn of bottom vessels, and a relative whom guide us told in uncertain those are ones existed by volcanic condition. The valley is invisible until reach the place and I have no idea about a valley there, and noted this name when searching places that attracts. The vehicles are stopped a km before the valley, as one have to walk through the tea gardens pathway and we were allowed further to reach by my wheels. It was an experience ride with a 3ft unequal path, and some ones threatening of anytime cheetah attack from the intense tea gardens, my power wheels proved it is a wonder. Even at near valley point, the leftover elephant dung makes us wonder how came elephants here, taking the risk at electric fencing and the deepest valley. It was an interesting view point to sight the Anaimudi - South India’s highest peak, counting 8842ft. The valley covers almost dense forest, with little encroachment of tea gardens at far left and tribal settlement villages below the valley. 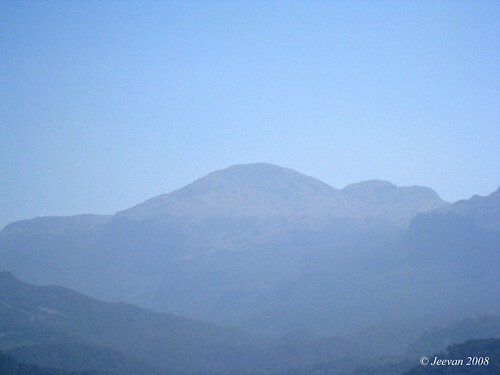 The anaimudi was not clearly visible, except the shape like elephants back at far distance. 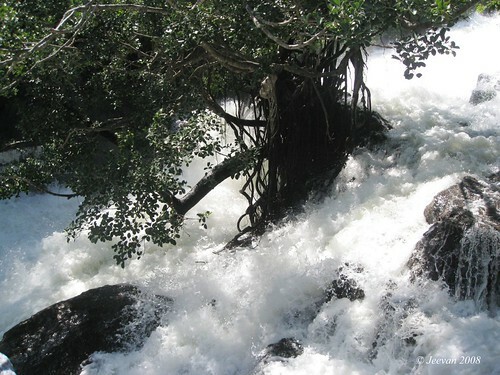 The valley holds couple of waterfalls, and I could remember one of the names as Idlyaaru (idly river). 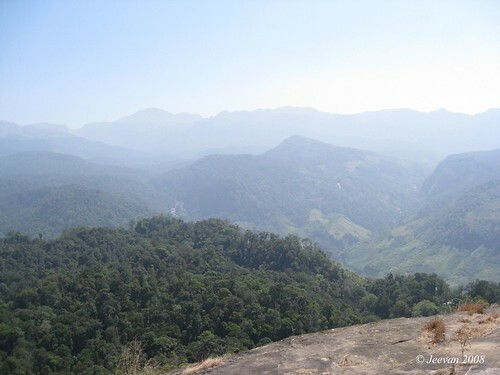 This valley separates the states Tamil Nadu and Kerala, and the other side of the hills or anaimudi is Munnar. A piece of information was give by a priest like person living there, bringing a sign board ‘Seen God’ and a small temple atop – the thing what he says was he saw the god at this valley. Everyone calls him samy (god) and our driver went ahead to get bless by touching his foot, but he stretched his hand across valley showing that nature is god. 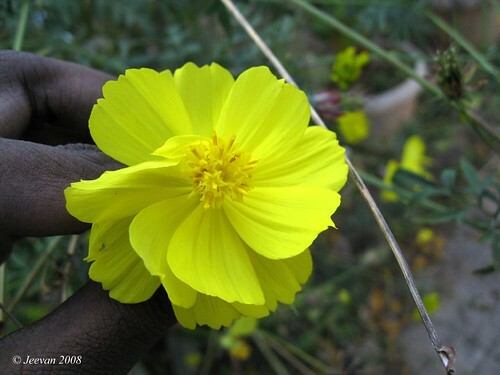 Somehow he impressed us with his wisdom and mind kind saying ‘salute the nature, its all. He was a govt. staff before he got to visible something he believes god and he began to stay there. But the tea estate owners what to remove him from there, but he manages to live around threaten of animals. Some questioning, what’s being wonder about Poonjolai and disbelief at the height of peak. I felt why people come here, just not for exploring the nature and beauty; something that could not replace cities, than questioning what gains by visiting valleys flipped my ear. It was a sunny day and back to vehicle it was such hot response from seats, but the heat was something warm to the cold atmosphere. I asked for Number Parai(rock) what is more exotic I heard, but we missed the opportunity that the path lead to that valley was improper that time. 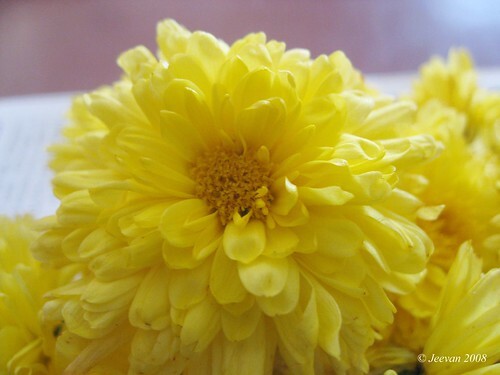 Nallamudi means good hair and poonjolai is wild garden. Anai mudi, the Tamil words mean to elephant hair/brow. with pride and produce to face the sun. the thing overtake lives true precious. get me better with cold days. one of the funniest ad I remember. This was something I followed the path of my late post, Red to me. and course of action it adequate. It’s since a year Maya came home, arrived as a 20 days kid. A pup that could fit within our palms and sounds such short and sweet to fade slowly reaching ears. With pretty eyes and nose, she attracts everyone’s attention by her soft cotton candy mass and to sound that greets. The way she tickles in her tender gums to bite and to lick to disclose her care, affection and confirm her security by sniffing our existence was new then. She gradually began to understand to whom she belongs to and finding out familiar persons and very cautious about outsiders and those strange being. It was something she got not to attach with anyone so easily, even she had met those uncountable times. 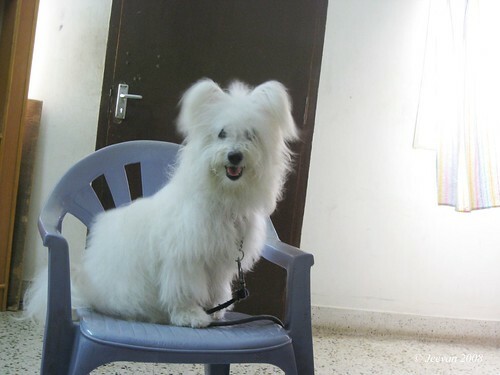 Today, even she have grown to an adult stage, she was indifferent in her behaviors and activities such as sleeping only under the closet, even though she struggle to enter the space; drinking almost milk and rarely curd rice if there was an egg; and to not spit anything she nab in her mouth – one of the toughest problem with her. Though absence of training, she catches up with her mind to live and tied to wayward. Even it was so pleasure having her and love those innocent behaviors, she was at same time disturbing our peace and to move nowhere easily like back, as she hasn’t practiced to live alone or on someone’s care, and need my mom or bro so to be calm. At everyone’s surprise she was very kind towards me, and not allows those unfamiliar to her to get near me or touch, and it goes to my mom and bro too. Seeing me approaching her and understanding my comfort, she used to climb on the couch to allow me to caress and embrace her. Days have run fast against my opposition to having her with us, thinking about our future and circumstance to avoid stress and annoyance could create by her. A year was completed now; she was traveling along with us wherever we go and staying all nights together. Even today, my profound says we have taken a wrong decision allowing her inside our life, which almost struggles to survive in anxious and physical stress. If we are happy and comfort enough, we could allow anyone to share our lives to make it more pleasure, but we’re already in stubborn and who would love to add more burdens. Actually she was a scared pup for anything variant. She barks like non-stop nonsense until her scare was cleared, and she dislikes being left alone to go and do our work at next room. Like a child she needs our attention often when unchained, to stop her from tearing something, and in frighten nothing important was left to her to easily grab around, but sometime being alone with me and mom she sits quietly near our foot. 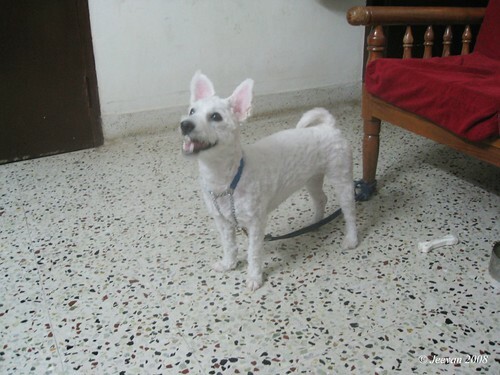 She likes fondly calling her by ‘maya kutty’ - young maya, and it was some words to melt down her and anyone calls her that name she goes behind them by moving her tail. We really no need an alarm to wake us early, because she does that work perfectly by whining every early morning by calling mom to take her to bathroom. This was something she does to get our appreciation and somehow she has begun to follow this rule now. One thing strange about maya is ‘she doesn’t like kids’! Any kids come across our home she barks continuously and it was uncertain curious whether she wants to play with kids or rush them, but we are very cautious about leaving her to kids. Lately she faced the problem of more ‘losing hair’. So after weeks of arguments and disappointment, finally she got her hair cut last week. It must have done months before to avoid the annoyance, but none could get properly advice from doctors, that could had stopped early the hair lose. By cutting those twist hairs; the newly growing ones would stand strong without pieces of hairs. These days it was so funny looking at her appearance in skin and bone, like a shaved sheep without woolen. From calling her maya kutty, we started to call her Aattu Kutty (young goat), and it gives a feel of touching a young goat. With ears lifting tall and in thin body, she got much names like young deer, fox, rabbit… and more than before, in her new aspect she gets much attention. Anyhow Maya is balanced between sweet and harsh, hate and like; fought and fond! So she remains with us in this journey of life, with distress and happiness. எல்லாம் அறிந்தும் அழிக்கபடுவதில் என்ன நியாயம். உயிரோடு கொன்று குவிப்பதை எண்ணி வருந்தியதுண்டா? everything is aware then what’s plea to destruction? do you ever deplore those lives to kill to converge? have you ever opposed the brutal murdering of tamilans allies humans? - Sri Lanka team. Something I thought at glance when seeing the Sri lankan cricket team arriving there nation after the terrorist strike Lahore stadium. I wasn’t intending about anything, it’s a thought that exist without any intension. and truth in beloved trusties. not the journey of Aussie’s angel Keshi! not the tear came moment when I read. Some facts I came to know there, about Valpari. The discovery of Valparai is due to the destruction of wild lives and one could not realize easily that we were stabled now is ones shelter to endanger species and dense forest. Somehow the tea estates takeover that thought by its evergreen blanket. Only when we hear to say someone about the past and what we try to understand is fractional. And we can’t blame anybody, and everything is dawn towards our needs. There is destruction to a development, the world came across this ideal and if not the pioneer G.A. 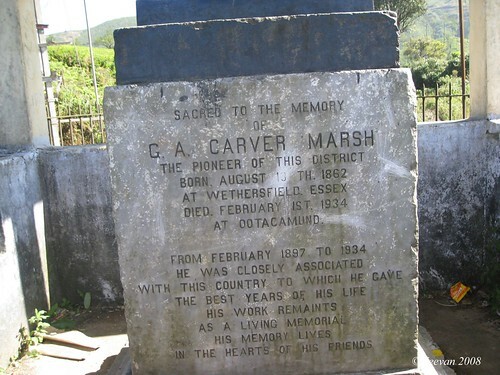 Carver Marsh – founder of the Valparai, we aren’t to experience the pristine beauty. 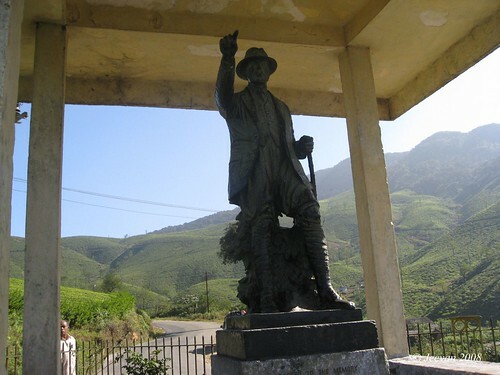 Standing tall at an edge of hill, facing around the green mountains and pointing finger across, the Carver Marsh statue view the beautiful Valparai – called by ‘Seventh Heaven’ in the world! For those ones visited, it’s a place to wish to visit again and again. It is complete quiet to movements. To wake up to fall asleep on natures lap, to check out the cotton clouds striking across the mountains and sunshine’s to glitter the tender keen leaves of tea gardens. 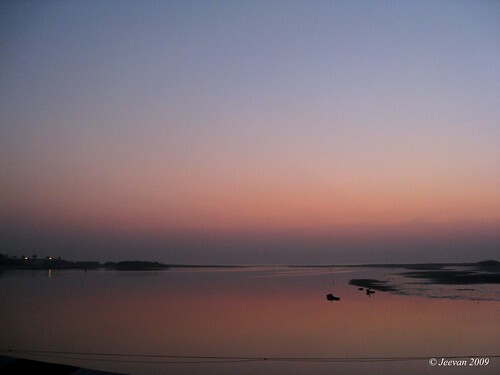 It’s totally pleasant to views and sense serene at present. Valparai survives with basic infrastructure more than enough compare to cities, with fully loaded electricity throughout years with no complaint of shortage, clean and tasty drinking water supplied through pipes and modern garbage cleaning system. It was wonderful listening to a relative native to the valparai describing me the basis they enjoy. It is a no way option to those frequently on mobiles, because except BSNL and rarely Reliance there no mobiles get signal! This sometime could get down your business, but according to weather condition the cell phone towers get smash to thunder storms which often knock down here. Valparai could be reached through buses from its nearest towns and the transportation happens 24 hours with frequent bus services. More importantly the sources of life, the food materials have to come down from the Pollachi town. Because there were no vegetables or fruits cultivation happens there. Valparai with almost rain throughout years, have its monsoon from May end till September, receiving the highest amount of rainfalls. Chinnakallar is a region in Valparai receives the second highest rainfall in India next to Cherrapunji. Can’t separate which is best months to visit valparai, because whatever time u visit u experience a different but pleasure is indeed sure. 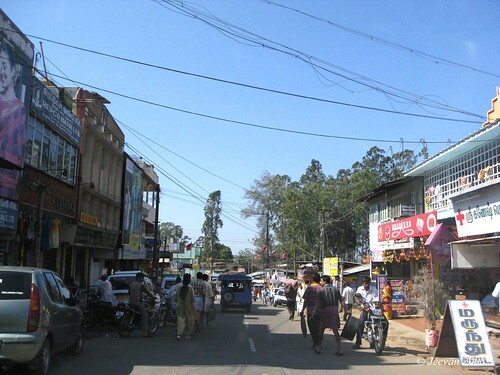 People in valparai adjacent to live around its lonely main road which accomplishes there necessity and within locals they have something to distinguish as up and down in purchase option. 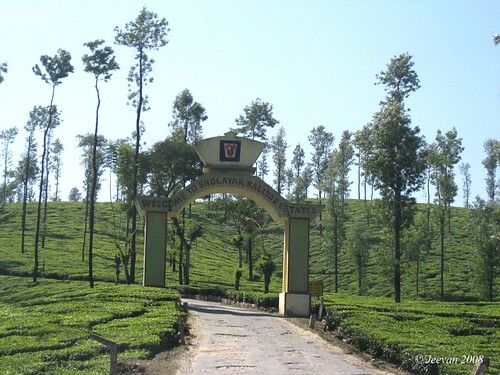 Valparai with strong background of tea plantation, most of the business is associated with Tea and top companies like TATA have there industries here, which remains the largest plantations in South India. It was the Carver Marsh who brought the tea and coffee plants here at the beginning after discovering the Anamallais with Congreve an active partner. In late 18th century there were only 50 acres of coffee was planted and in early 1900 the acres were in couple of thousands and very little amount of tea and cardamoms. In foresight advantage, the coffee plantation have been reduced as it takes time to produce seeds and were in tea, its just leaves that grow often in time witnessed a rise in plantation is quite touching 37,000 acres now. The obstacles it carried down to this present is more and one is the Malaria, which survive through this region drawbacks the productivity, until came the solution after several years of research to found and destroy the culprit ‘Anopheles’ – which bred through streams and rivers. At early the more outcome of tea, rose down another problem with transporting goods and to feed labors. In behalf came the solution with Anamallai Ropeway Company introducing a ropeway connected with the district and foot hills, to railhead at Pollachi through Lorries. At that present it transports 32,000 tons of goods yearly and even unconditionally success. 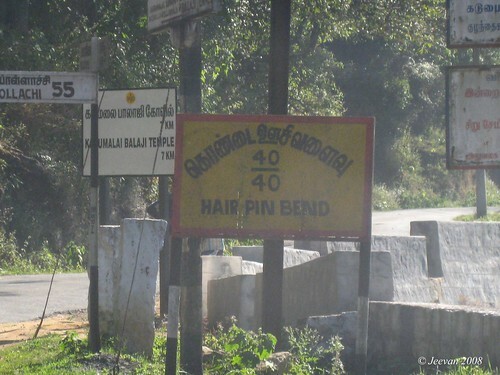 Later in worth, Mr. Loam, an engineer surveyed a ghat route, including the bridle paths – the only paths used by people earlier to reach valparai, was helped in direction to construct the road under charged of Carver Marsh . 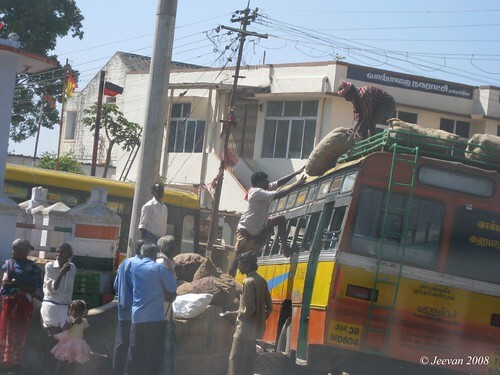 The project was completed in 1930, the road later widened with the help of PWD and Highways Dept lately. And we can only wonder someone tells the difficulty on building the ghat road, preventing endanger of animals, heavy rains and lot of leeches. 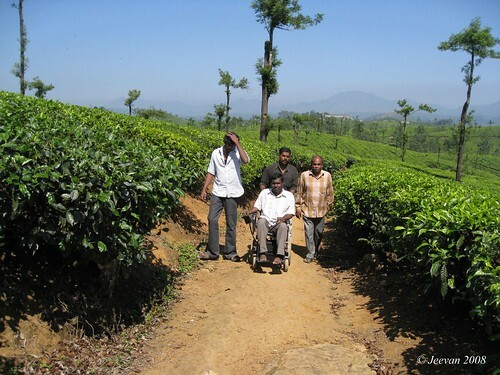 Valparai is a municipality in Coimbatore district, holding an assemble constituency. It serves with a govt. hospital and Primary Health Centre; higher secondary schools and art’s collage; limited hotels and private cottages, with two petrol bunks at choice to wander. 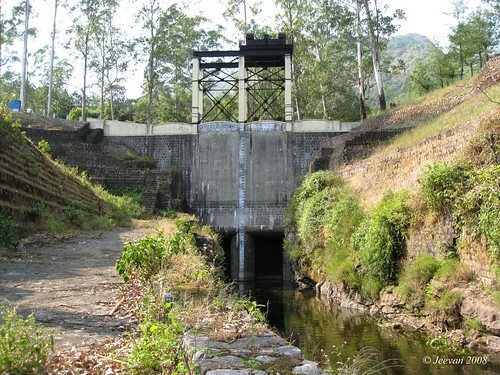 About the Hydro-electric power, which produces the electricity, was brought here by giant Sir Henry Howard, the Chief Electrical Engineer who developed the Pykara Hydro-Electric project in Nilgiris. It was his immediate success after the Pykara project, from where he brought electricity into this district first. Today his project and the idea got Valparai its immense source of electricity, one of its significance. It was a homely stay for me in Valparai, except the pleasant weather, unpolluted circumstance, and strange birds singing, quiet almost when world at buzz… It’s a phenomenon we aren’t expected. The whole is pristine here to begin the future at earliest of cities. A thought that worries me in case been to stay, is an encroaching of some others heaven.